A couple of months ago, I took a good, hard look at my dual-screen setup and thought-–Hmm. Maybe I should get another monitor. A bigger monitor. Then, after an hour or two of researching 27-inch monitors online, I walked into my living room and was struck with a brilliant idea: Maybe, instead of purchasing an entirely new monitor, I should just move my 32-inch HDTV into my office and call it a day.Bigger is better, you know, and this way I wouldn’t have to drop a couple hundred bucks on a new piece of equipment. 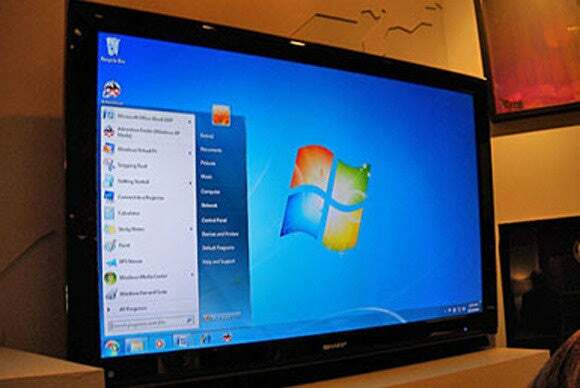 But just because HDTVs look a heck of a lot like computer monitors doesn’t necessarily mean they can replace computer monitors. Or does it? Here’s what you need to know if you’re thinking about sticking an HDTV on your desk. 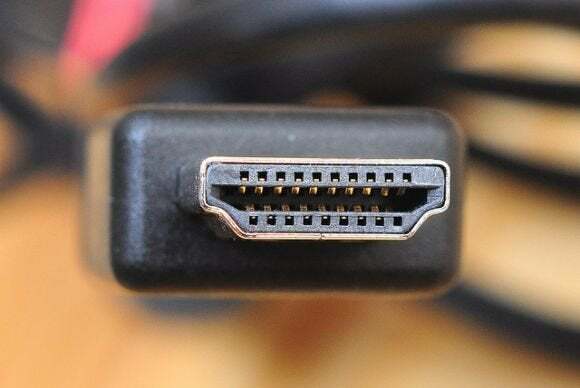 All modern HDTVs have HDMI inputs—some older HDTVs have DVI inputs instead—and some have VGA inputs for “PC use.” If your graphics card has an HDMI output, you’re good to go: Just use an HDMI cable to connect your PC to your HDTV. If your graphics card only has DVI outputs, I suggest snagging a cheap HDMI-to-DVI cable and plugging it into your HDTV’s HDMI input. Although some HDTVs (and some graphics cards) have VGA inputs/outputs, this is not the ideal choice—it’s an analog signal that will give you a far fuzzier, lower-resolution image than an HDMI or DVI signal. Maybe, but this depends on a number of factors, including what you want to use your HDTV monitor for. Most reasonably-priced HDTVs top out at 1080p, or 1920-by-1080 pixel resolution. On a 15.6-inch laptop screen, the Windows desktop at 1080p looks pretty darn good from a couple of feet away. On a 32-inch HDTV screen…not so much. What this means for you is that a larger but less pixel-dense HDTV screen will display text, icons, and images as blurry and difficult to read if you’re sitting a normal viewing distance—a couple of feet—away from your computer. If you plan on using your HDTV monitor to do anything other than watch Netflix or play games, you’ll ideally need to find use an HDTV with a higher pixel density (I like to shoot for at least 80ppi, which means no larger than a 27-inch screen at 1080p) for comfortable viewing. Or just hang it on the wall rather than plopping it on your desk. DisplayLag has a pretty good database of input lag times that you can sort by display type—you want to pick an HDTV with a lag time of no more than about 40 seconds. If you run into input lag problems while gaming, try activating your HDTV’s “Game mode” settingif one is available. If you’re looking to get the best bang for your buck, an HDTV isn’t necessarily going to save you money over a monitor. In fact, if you’re purchasing a new display, I recommend sticking with the tried-and-true computer monitor. For one thing, smaller, cheaper HDTVs are typically 720p resolution, not 1080p, while similarly-priced monitors will almost always be 1080p. So if you’re looking for something under 27 inches, an HDTV will probably be more expensive and lower-resolution. 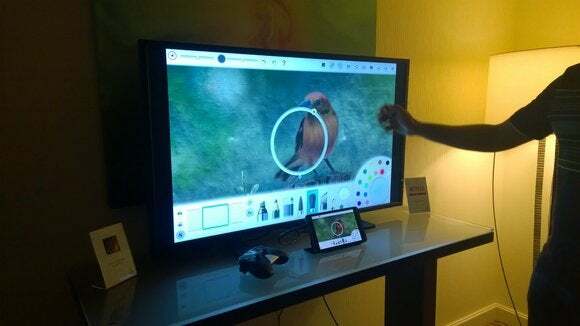 If you’re looking for something larger than 27 inches, remember that pixel density decreases significantly with every few inches you gain, and there’s a reason HDTV-makers suggest sitting several feet away from their creations. If you need a display that will multi-task as an up-close work/email display as well as movie/entertainment display, you’ll want something with a high enough pixel density that text won’t be a pain to read. If you’d like to blend prettiness with productivity in your new tab page, try Momentum. When you first start up this extension it will ask you for your name, and what your “main focus” for the day is. Then every time you open a new tab you’re greeted with the time of day, a personalized salutation, and a reminder about what you wanted to focus on. Momentum also adds a few additional niceties, such as a beautiful photo as a backdrop, an expandable to-do list in the lower right corner, and the current weather in the upper right. As with the Google Maps extension, you can access your Chrome apps by clicking the Apps link in the upper left corner. At the very bottom of each open tab, Momentum also includes a motivational quote, which can get very inspiring or tiresome depending on your personal tastes.